Hypersect has announced that Inversus Deluxe is coming to Nintendo Switch in Fall 2017 with new content, new features and visual enhancements. 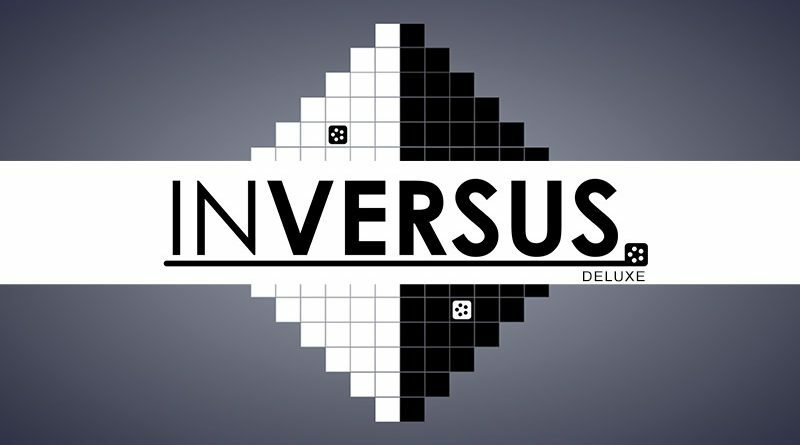 Inversus is a negative-space shooter for one to four friends. Player movement is constrained to opposite colors of a black and white grid – my walls are your paths and your walls are my paths. Each shot flips tile colors in an attempt to block, trap and close in on the enemy. Firing a bullet opens up a path for you while also closing off a path for me. Both online and local couch play are supported. The competitive versus mode pits players against each other in 1v1 or 2v2 battles, while the single-player and cooperative two-player modes pit players against endless waves of enemies as they fight for high scores on an ever-changing board. 12 new versus maps and 4 new arcade maps create a total of 50 unique maps for players to enjoy. Test your skills in the new single-player versus mode by facing off against AI Bots that scale in difficulty from beginner to world-class player. The addition of ranked online multiplayer rewards skill in both 1v1 and 2v2 games. With the new split-shot ammo, players can fork bullets and shoot around corners. Equipping new unlockable motion trails allow players to show off personality in the arena.